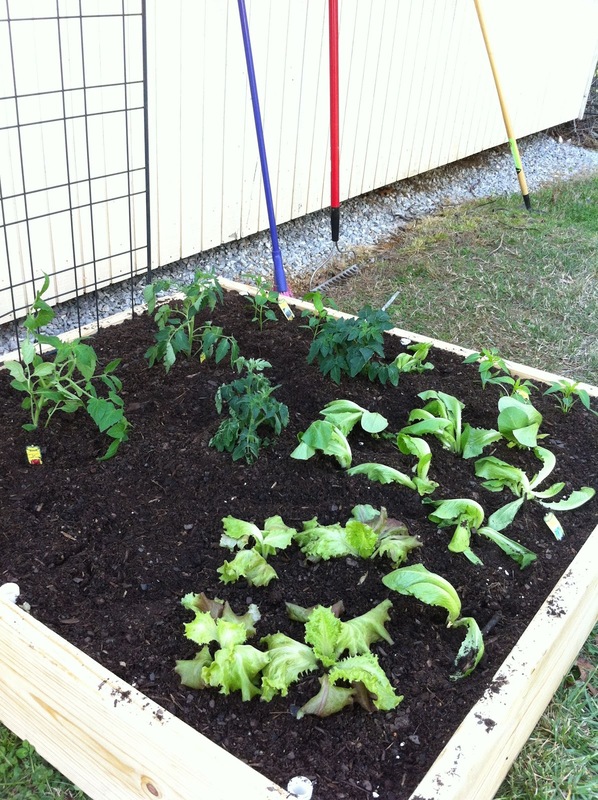 Mike and I finshed up our first garden patch over the weekend and I am excited! We built the 4x4 box, filled it, and planted our veggies in about 3 hours. 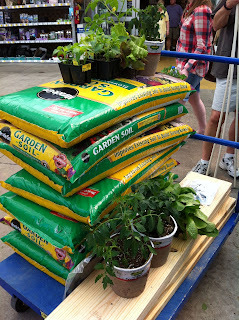 Here is our cart as we checked out at Lowes. 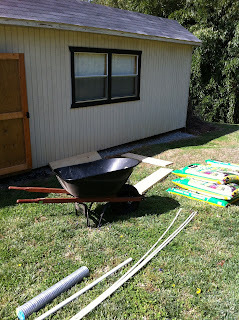 Next we unloaded the truck and got right to work! 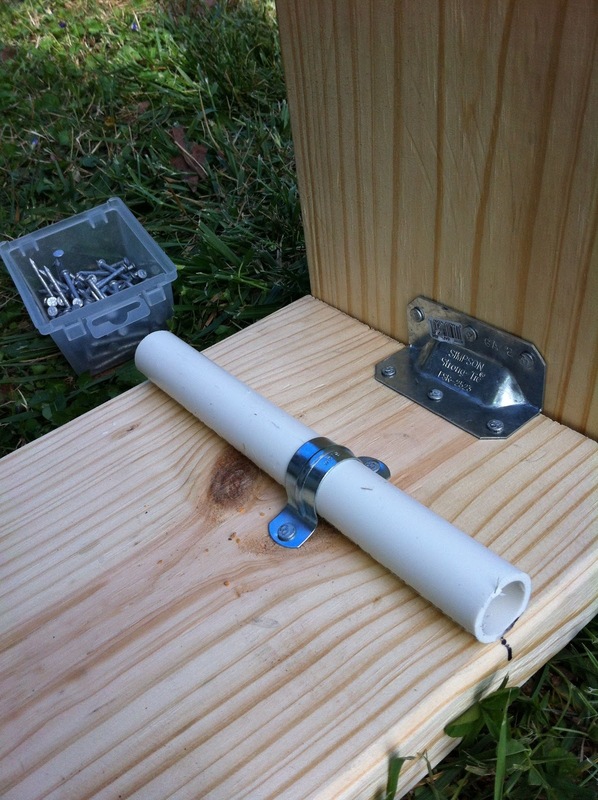 We built the frame and secured pvc pipe sleves to oppisite sides of the interior of the new box. 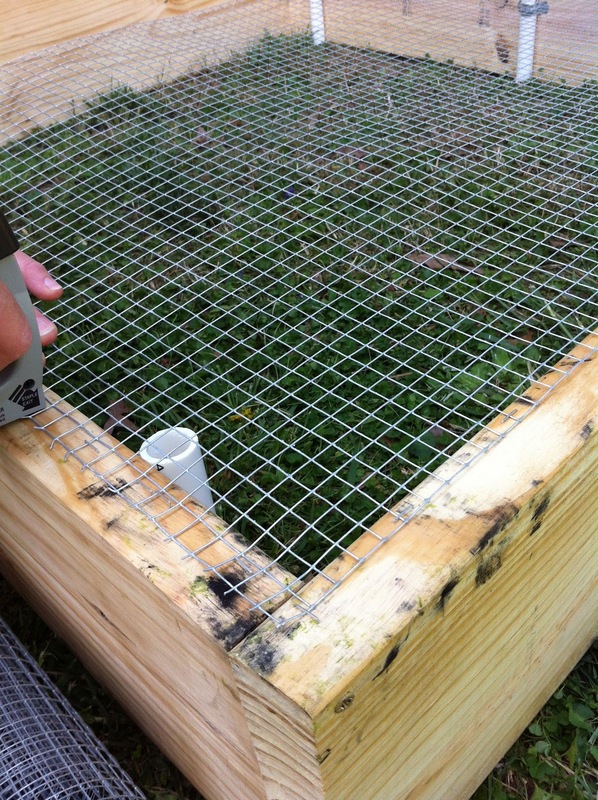 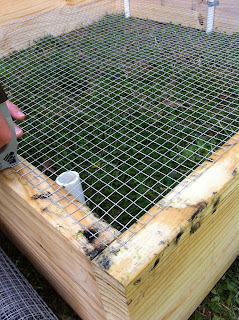 Next we flipped the box over and attached wire mesh to the under side of the box, hopefully this will discourge the chipmuncks and the gophers. 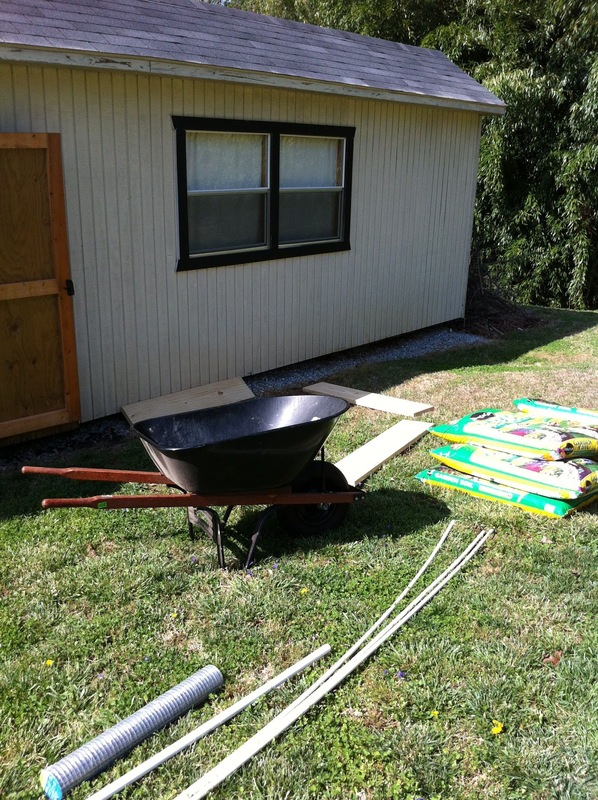 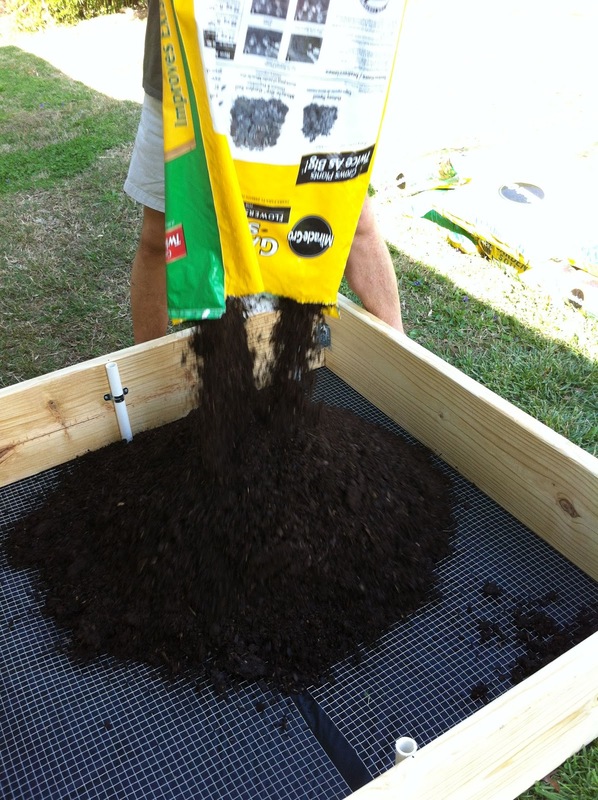 Then we put in 7 bags of good garden soil. Then we placed our veggies and dug the holes and placed them in the new soil. 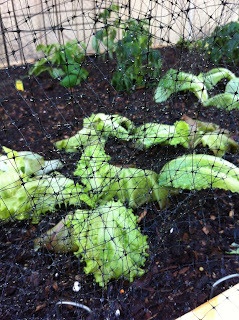 Mike gave it all a good watering. Then we put the 1/2" pvc pipes in the sleves to form the supports for the bird netting. 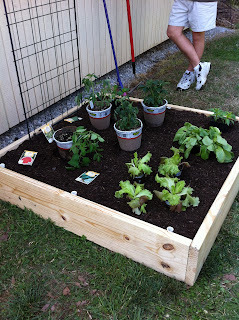 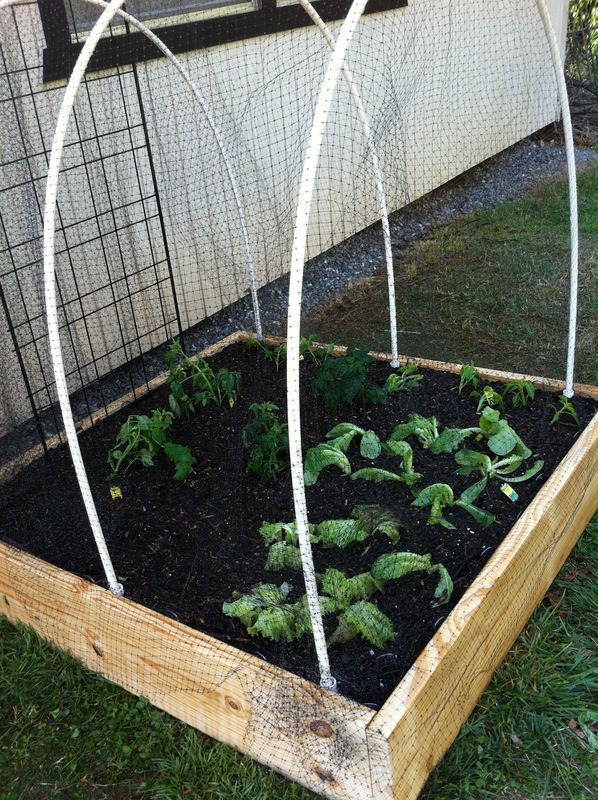 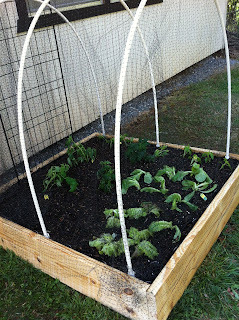 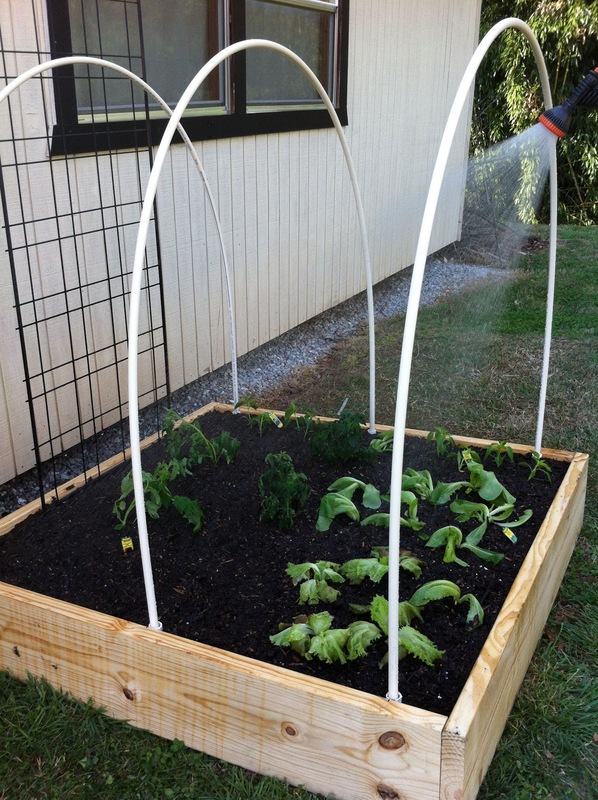 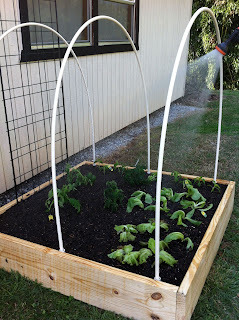 We hope to have tomatoes and lettuce in a few weeks and green peppers, peas and green beans all summer long. 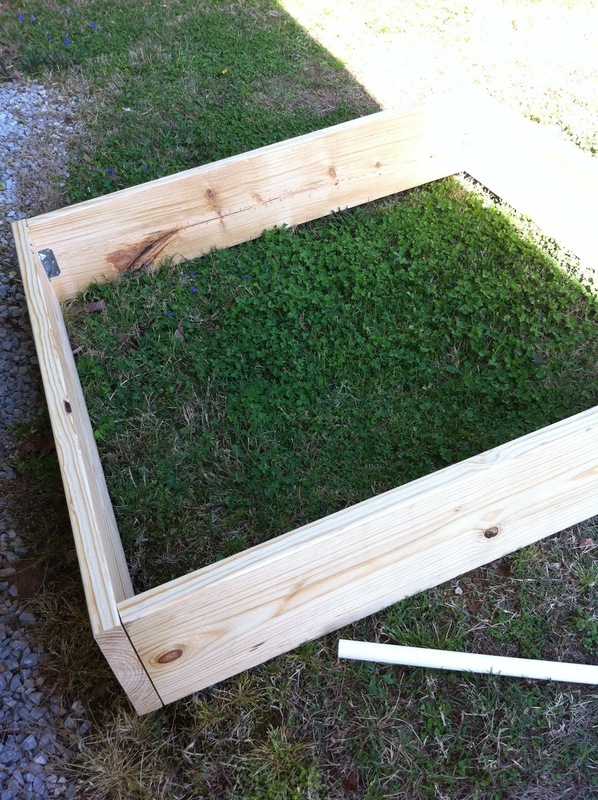 I'll post more photos of our progress.